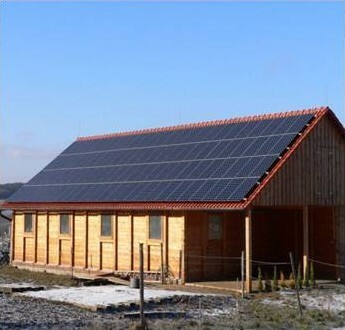 Buildings and technologies for power ind. 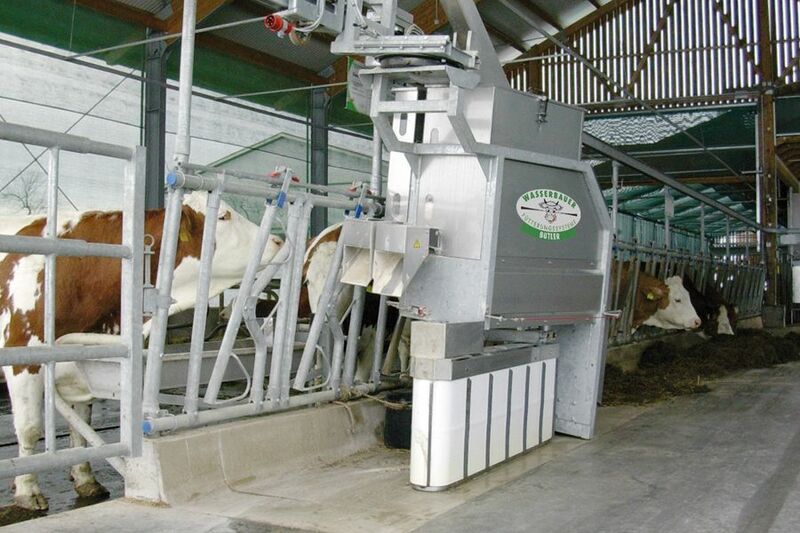 MODERN COMPUTER-CONTROLLED feeding automat ensures safe way of "natural" feeding (so-called drinking with raised head), through this is eliminated liability, where part of milk can reach into rumen, for example from bucket. 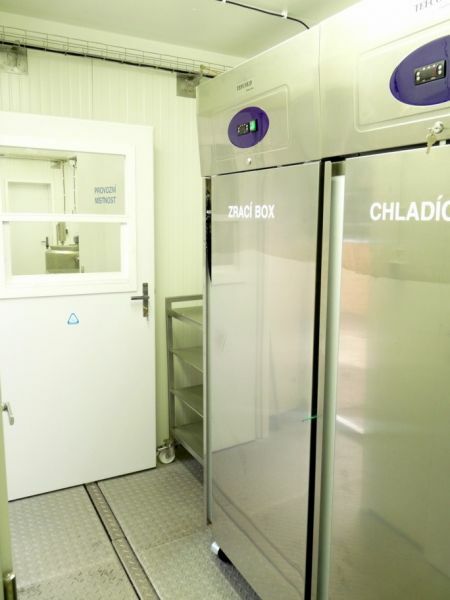 For automat is possible to select dosage of raw milk, milk feeding batch or of both alternatives, according the breeder needs. Responder with antenna identifies calf and computer ensures its optimal composition, dosage and evidence of received feed amount. Comparing the planned dosage with reality enables individual control of each animal and achieves in advance responding to possible problem. 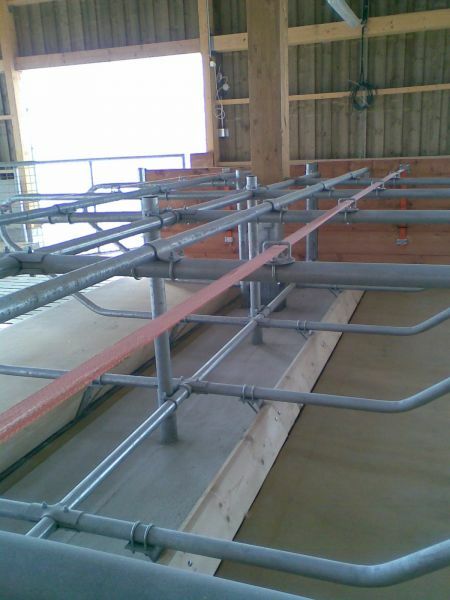 Where pasture isn’t enough, add to it quality feed rack for eventual feeding of the cattle out at grass. In our offer you will certainly find suitable option not only for reason of wide types range, but designs as well. 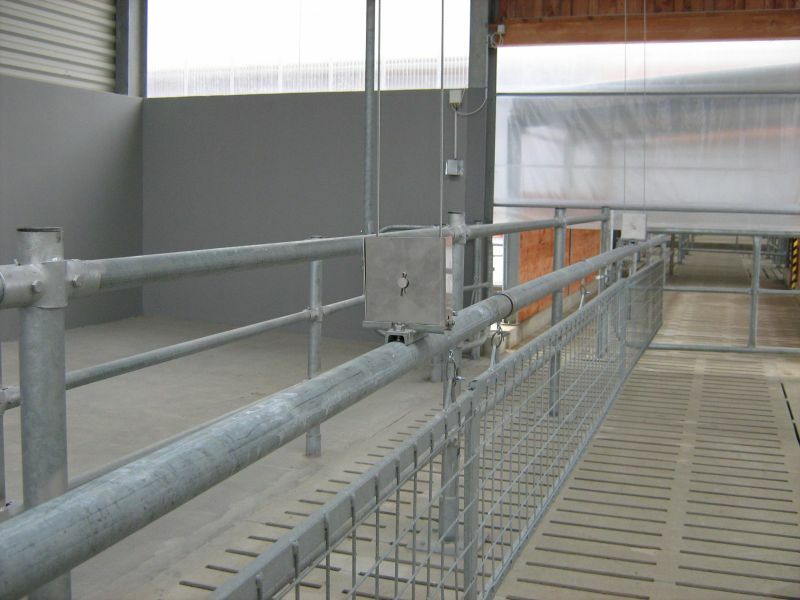 Feed racks are made from section steels with hot-dip galvanized coating, which ensures high resistance against damage from animals and long service life against influence of external environment. 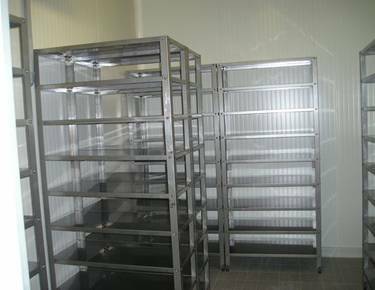 By default we are producing circular, square feed racks for horned and hornless cattle, cribs for sheep and goats, covered or open-air. We provide efficient and economically advantageous processing of animal waste. 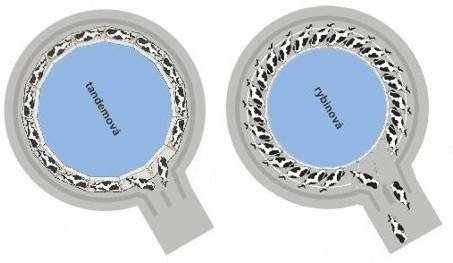 It causes separation of the solid from the liquid, solid part is suitable for bedding cattle. Most popular and widespread milking parlor on the Czech agricultural market. 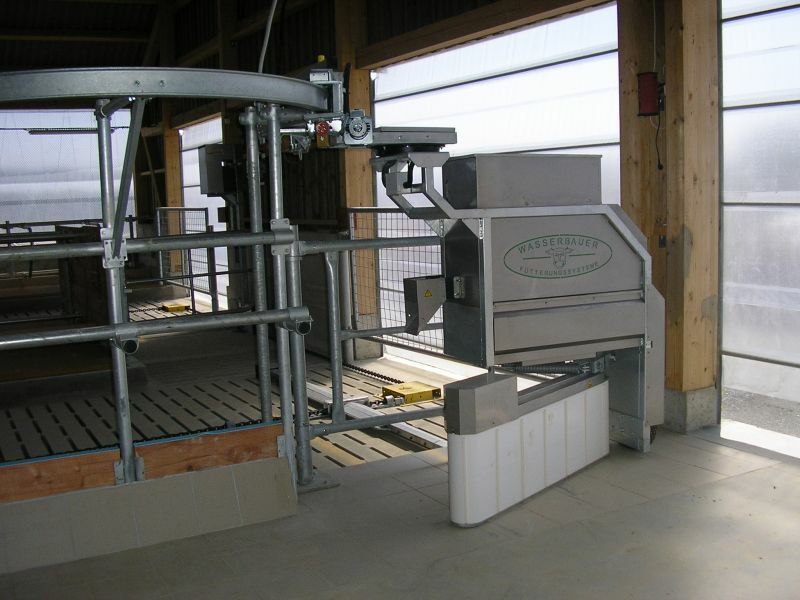 Herringbone milking parlor is with its layout suited particularly for medium and big herds. Control of entrance and output gates with help of pneumatic automation, or manual with help of lever gear. 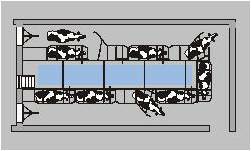 Smaller groups of dairy cows enable quicker group rotation and thereby raise trafficability of milking parlor. Operator has better overview of dairy cows. 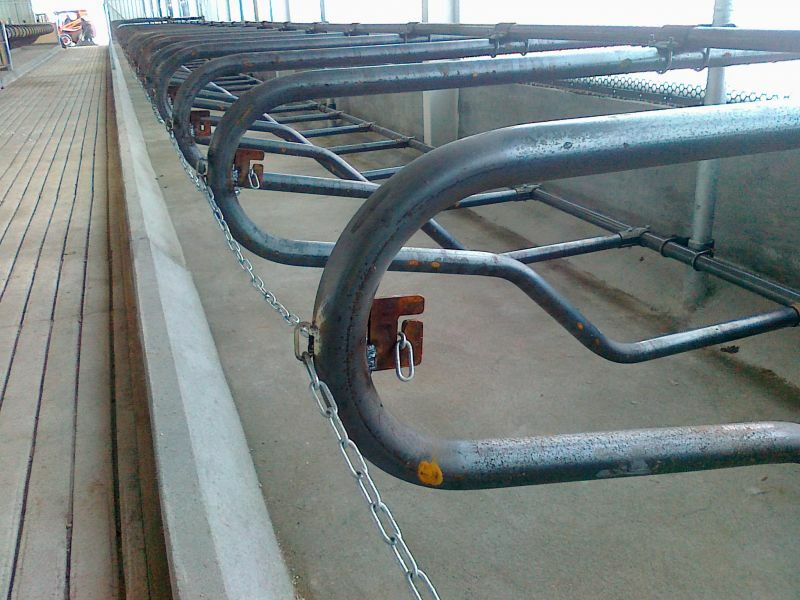 Mechanically adjustable chesty barrier, which enables to adjust box width according the frame of dairy cows. 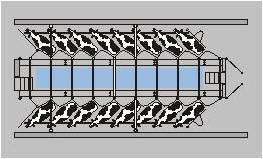 Constructional consistent with the type IDEAL, only pneumatically controlled chesty barrier enables better line up dairy cows with outstanding body frame and in such way enables to operator better access to dairy cow udder. 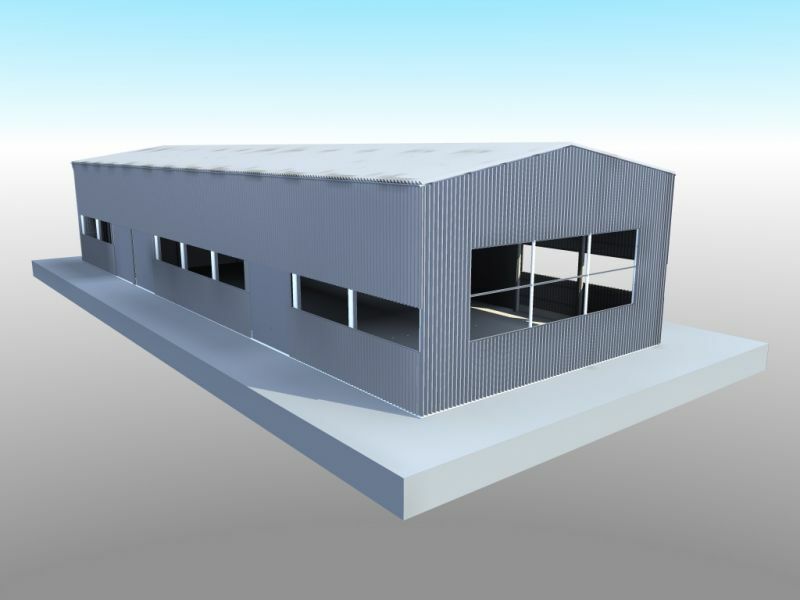 INTEGRAL PART of the advanced stable equipment is utilization of system solutions, which are convenient for new buildings and reconstruction as well. Their main advantage is space variability thanks to which and thanks to our long-time experience in this field we are able to respond flexibly to breeder's wishes or requirements and to propose most suitable way of animal stabling and to keep smooth functioning of farm. HOMEMADE MANUFACTURING and educated workers are warranting for superior processed and assembled elements produced from steel sections, which can be delivered without coating or with hot-dip galvanized coating. 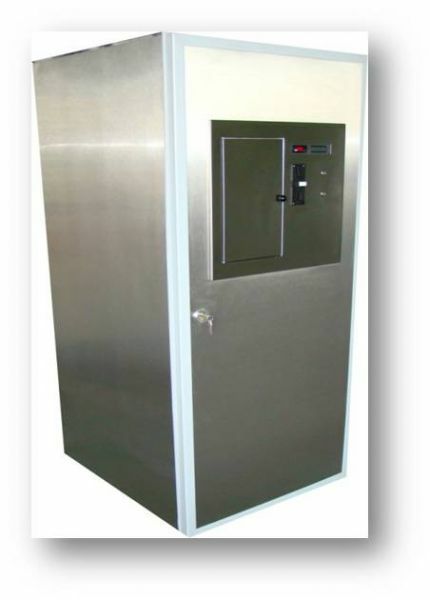 Selected parts of technology, which are exposed to high-aggressive environment in a stable (for example column footings) can be on request equipped with protective cover from stainless steel, by which means will be achieved its service life. In the case of questions about manufacturing process or about product portfolio don’t hesitate to contact our department of production. 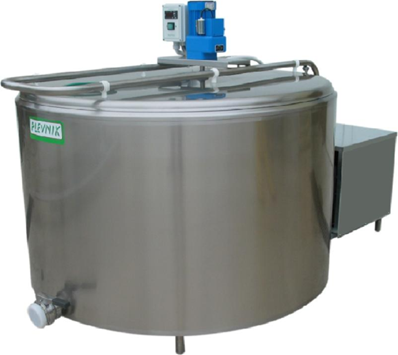 Pasteurization is the basic technological processes for the production and processing of milk and dairy products. The purpose is the destruction of microorganisms and thus increasing the durability and food security and health safety. 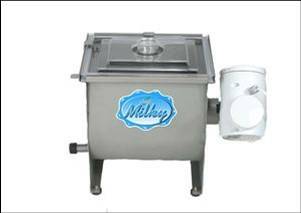 Pasteurizer and cheese boiler is completely made of stainless steel and can be due to a wide range of accessories customized to user needs. 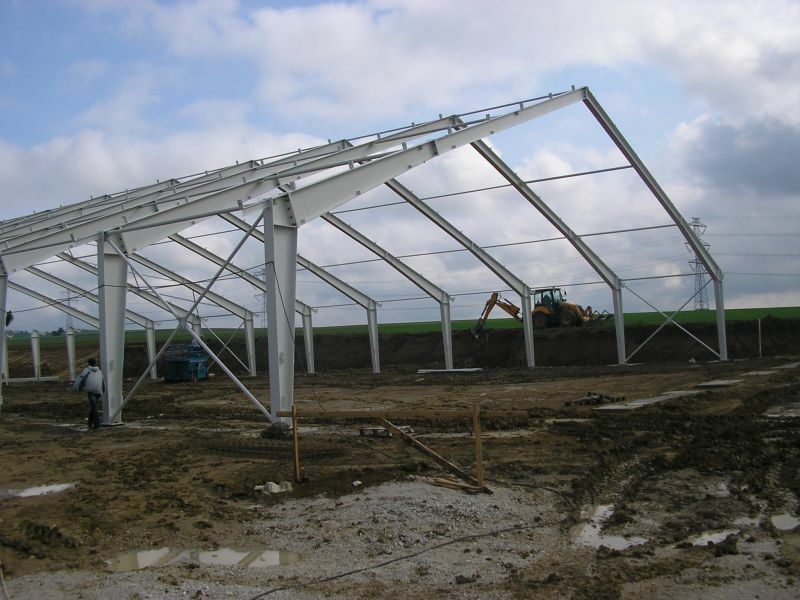 Welded steel constructions - these are the most commonly used solutions, especially from an economic point of view, where there aren’t great demands on the size of footings. Utilization is suitable for large spans. 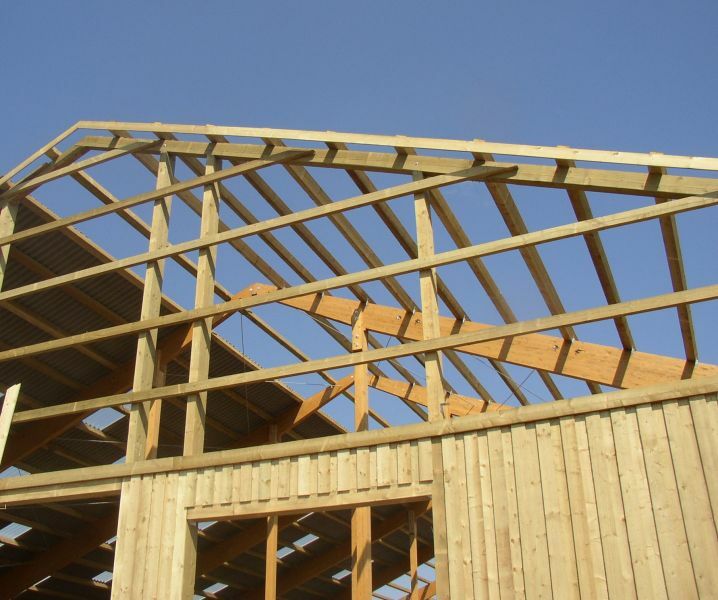 Lattice steel constructions - is one of the lightweight roof construction. 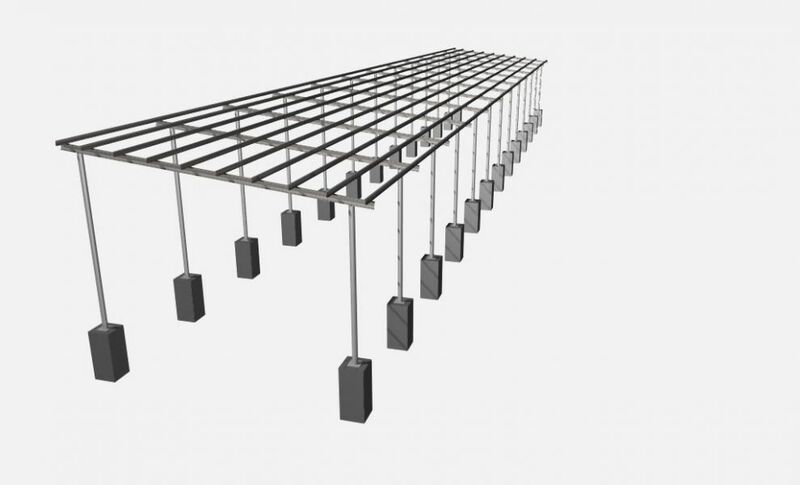 It is made from steel truss frames that are made of welded steel profiles. The frames are connected with screws to the columns, which are firmly stuck to the ground (anchored). 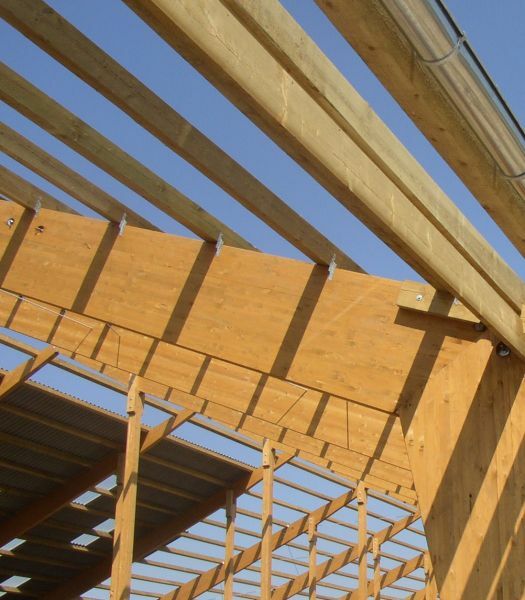 The span of trusses without any support may be large. 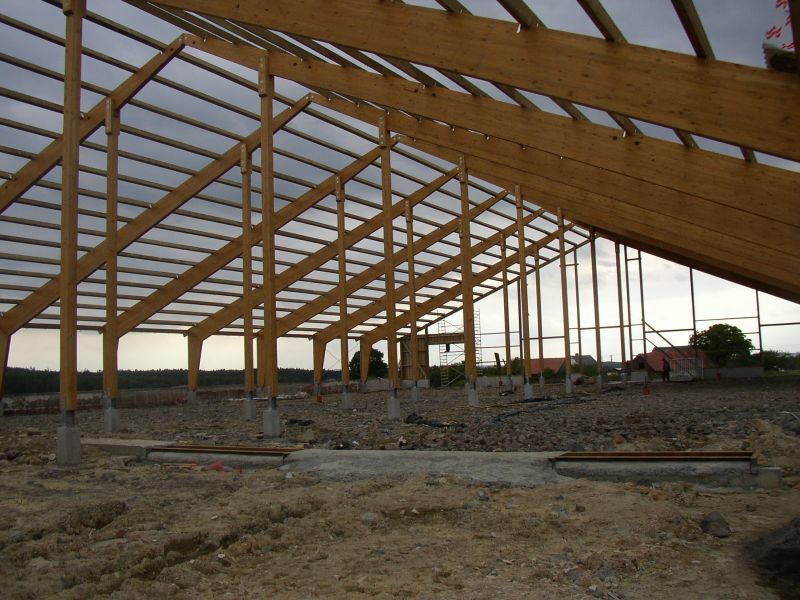 AGROMONT VIMPERK ensures a small metal fabrication, as well as production of steel structures. Modern equipped welding centre provides high-quality processing of basic metals including measures for coating to ensure longer durability. Mobile plastic sheds protect calves from inclement weather conditions. They are made from the highest quality materials that are safe and resistant to damage and designed to perfectly meet comfort conditions for rearing calves. They provide easy handling, cleaning and transportation. All models are equipped with rail, which is usually made of galvanized steel profiles with feeding bottle or bucket. UNIQUE SYSTEM of mobile fencing consists of simple sub elements, which can be changed or freely combined according the user needs and wishes. Elements are made from quality steel sections with hot-dip galvanized coating. Thanks to practical construction it could be easy manipulated and transported. service life is ensured with hot-dip galvanized coating. 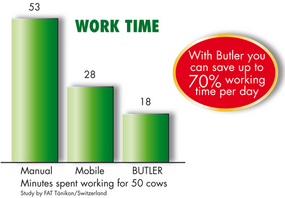 Less work and stimulation of cows - BUTLER. Your personal Butler does the main part of your work. When ever you put either corn or grass silage or TMR at the fence cows always tend to push a part away and cannot reach it. That’s now the Butler’s job to bring it back to the feed fence by means of a rotating belt. 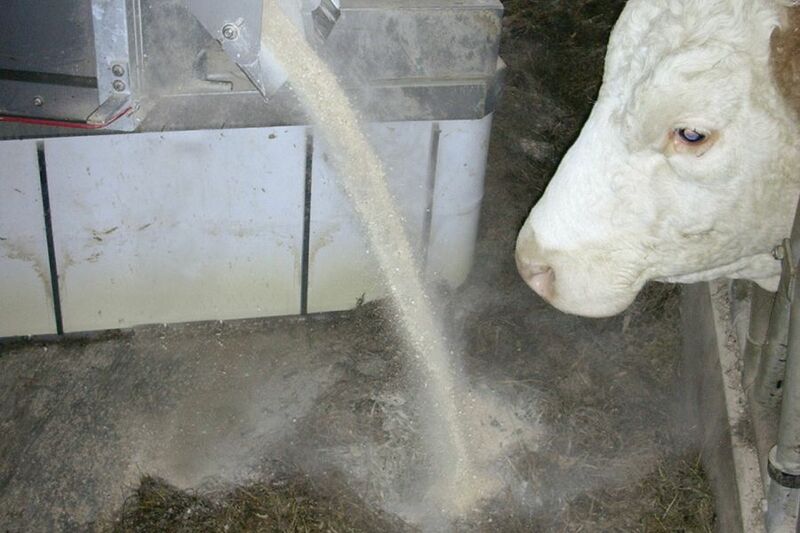 As an additional trick to bring the cows back to the feed fence it disperses small amounts of blend or minerals on the forage. This reduces also the stress and the pH-value as cows eat more often according to the natural eating behaviour. A simple spring tine adjusts the pressure so that forage is not compacted to heavily. On the return passage the belt changes its sense of rotation. A safety line makes the machine stop if there are obstacles on the way. You save up 70% of your daily work. A 24 V battery activates the Butler which isi always charged in the parking station. No need for expensive cables and installations. 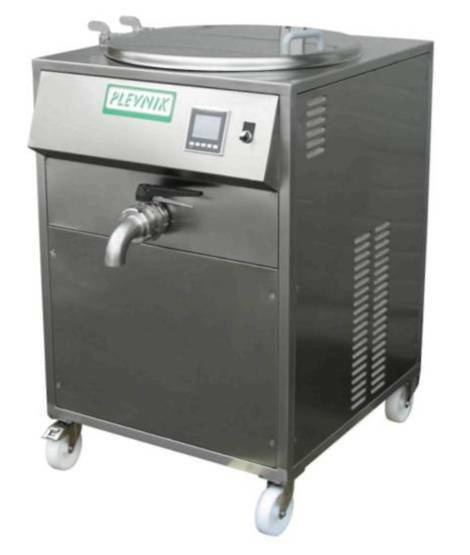 The concentrate bin can be filled up manually or automatically. Up to 30 cow groups can be supplied. You save 70% of your labour time and prevent your backbone from damage. AG 100 – is on our market completely unique product that allows the production of standard dairy products in small amounts, but with a large range and rapid changes in production. 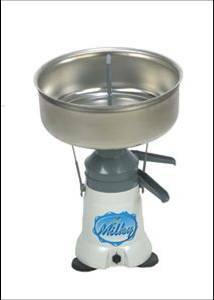 It is designed for small primary producers of milk, which allows their production further process into local dairy specialties, which can then be conveniently sold in the market. The concept is designed in two basic modules - the technological and auxiliary sanitary. 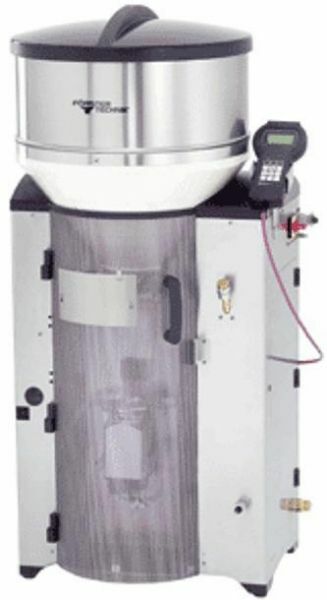 Equipment can be adjusted to all requirements. 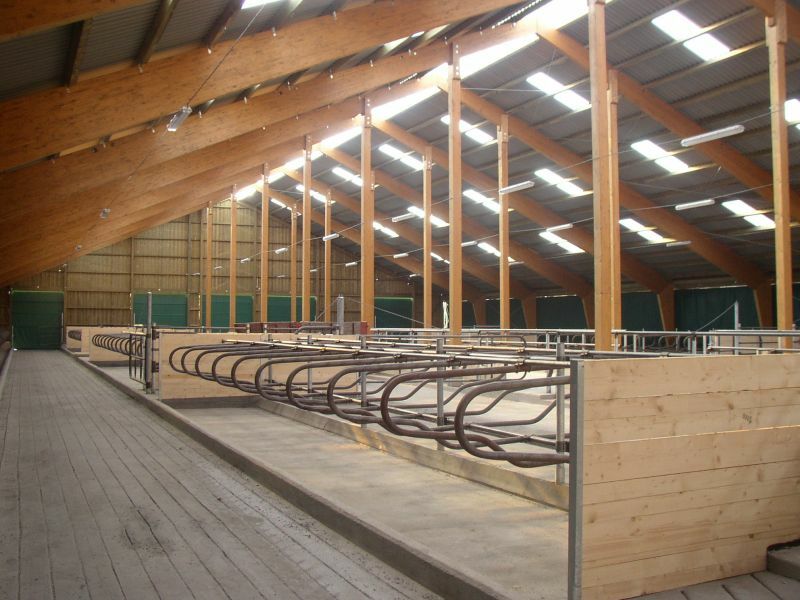 MATTRESSES AND FLOOR PLATES assure for better comfort, convenience and safety for cattle in the stable rooms. They haven't negative impact on the animal health and all products are up to strict regulations and standards and are suitable for animal needs and welfare. Mattresses – use in lie down boxes is raising animal comfort and convenience. Favourite solutions are latex boards in combination with the carpet „CANADA“. Floor plates – are laid in particular in the shared area of stable, where they are increasing comfort during moving, but they are eliminating risk of animal injury as well. 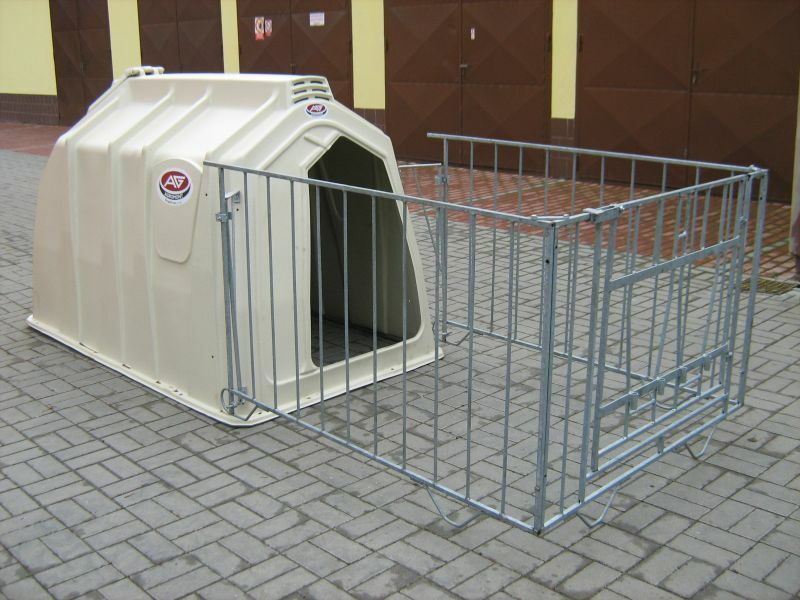 VARIABLE SOLUTION for animal protection against adverse weather out at grass, but covered standing for cars, tractors and other not only agricultural machinery as well provides our mobile shelter. It consists from durable steel self-supporting construction with hot-dip galvanized coating, which ensures maintenance free and long service life. From PVC sheet, to which can be added light top half. And from mobile components, which can be according the needs combined and used together with the already purchased mobile fencing out at grass. 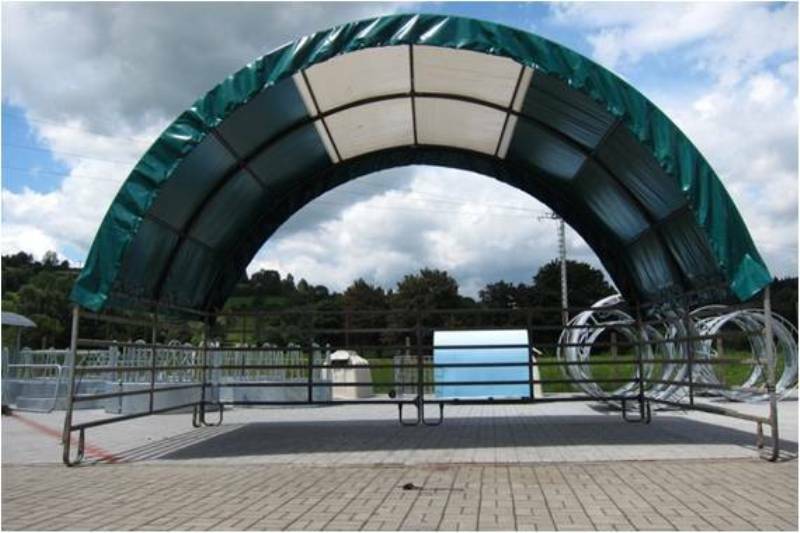 Mobile shelter can be quickly and easy installed, best in level ground, only with help of special screws, which are replacing the anchoring into concrete foundations or concrete footing and in such way economizing financial means for investor. A wide range of submersible pumps and mixers allows us to find the optimal solutions according to the customer. We may also deliver a device for combining the two functions without the cutting device, which dilutes the solid particles and eliminates possible blockage in the pipe. HIGH LABOR PRODUCTIVITY in tandem parlors. 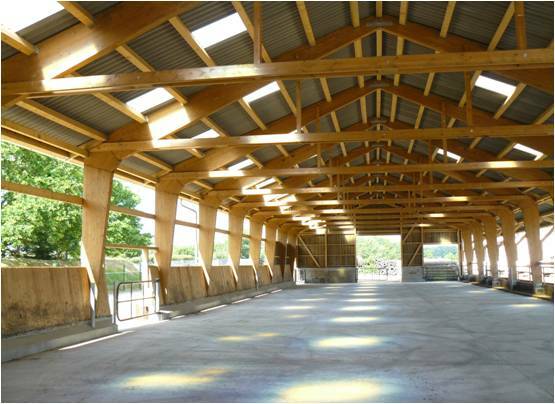 This type of milking parlors is suitable for small and medium herds and is prioritizing individual access to animal. Excellent overview of body frame of dairy cow. Size and pattern of tandem parlor can be adjusted to building restrictions into pattern U and L, eventually one-side. Operation of tandem parlor can be fully automated. Control of gates is with help of manual lever gear or pneumatic automation, or fully automated (autotandem). Milking parlor can be equipped with various automation levels of milking process including the milk measuring and identification. Control unit of autotandem milking parlor ATA-25, which ensures fully automatic operation of parlor. 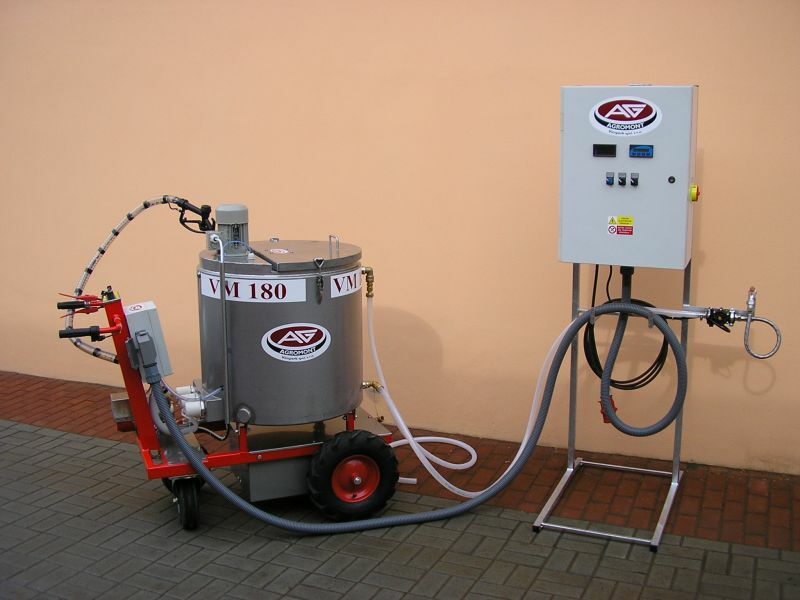 Operator after mounting of milking machine doesn't need to watch the milking process. 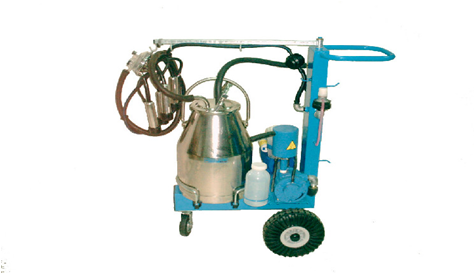 For in such way designed milking parlor is recommended to equip with automatic disinfection of teats after milking. ATA-25 enables switching over to manual operation and in such way operating the gates from control unit keyboard. 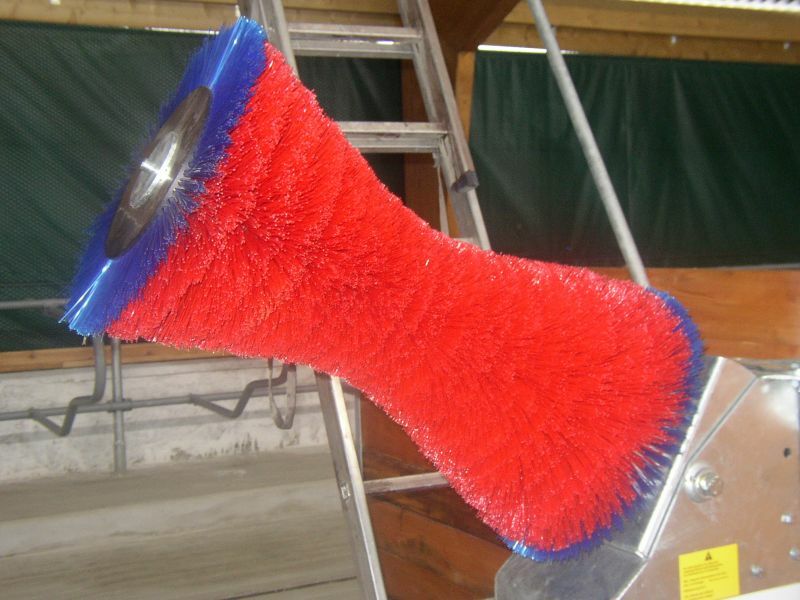 It is an indispensable product for each breeder. Mobile shredder truck for milk is another option in feeding calves. 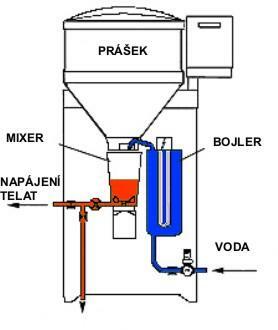 This modern and practical solution meets even the highest requirements of users such as heating, cooling or maintaining the optimal temperature in milk, which is especially important in winter. The truck is our own product. 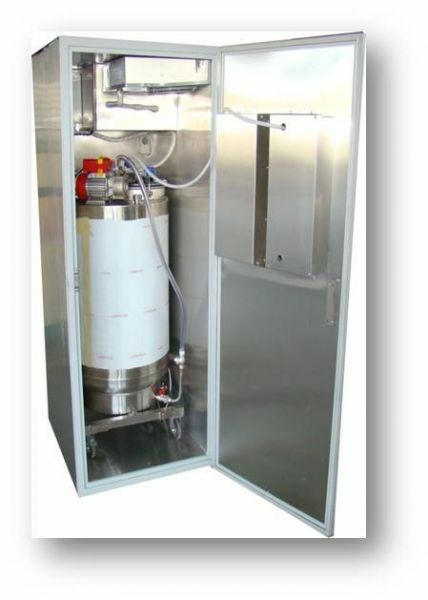 It consists of a double-walled stainless steel tanks and electric motor, which ensures easy handling. MOST FAVORABLE CONDITIONS for milkman’s work. 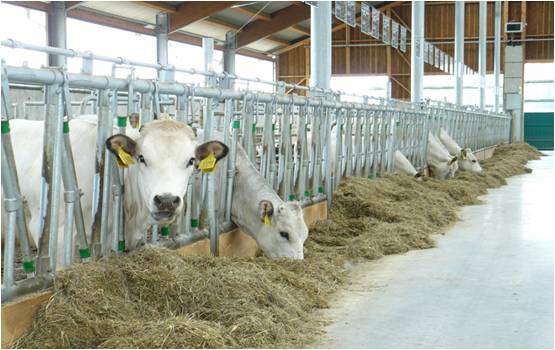 Very popular carousel milking parlor are on the Czech and Slovakian market intended for big herds. Herringbone or tandem layout of box. Continuous movement and very quiet running. 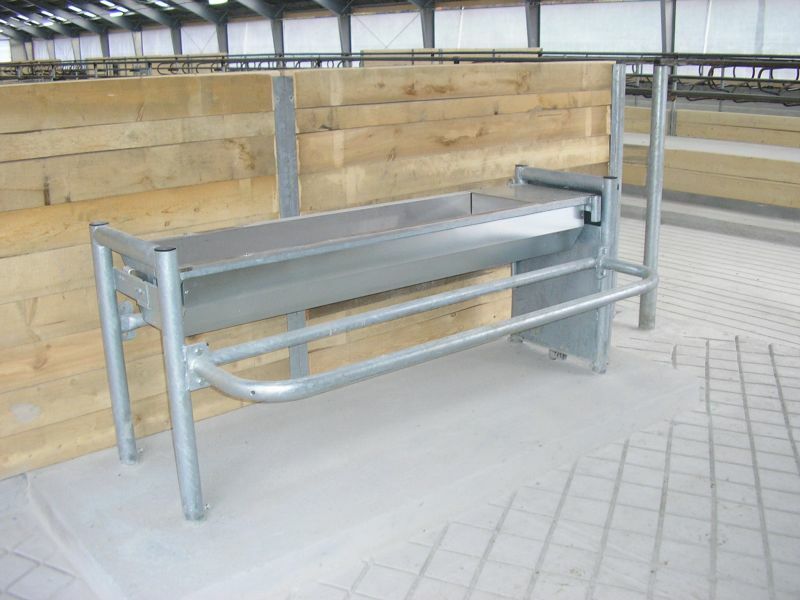 MECHANICAL BARRIER ensures dividing of dairy cows in waiting room into groups, which are consequently sparingly pushed in the direction of milking parlor, where is carried out the milking. Having finished milking of given group the barrier is raised up and rides over ingoing dairy cows to beginning of waiting room again, where is dropped down and the cycle is repeated with other group again. Part of the equipment is electric fence placed on the barrier of crowd gate, which is suitable particularly into new operation, where is necessary to learn young dairy cows to walk into milking parlor. 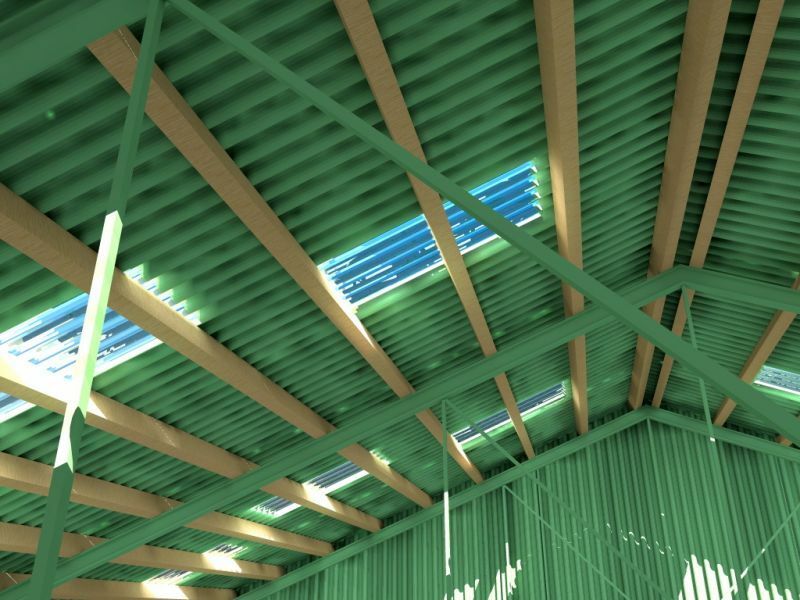 In the case of new buildings is crowd gate installed into structural part of roofing, in the case of reconstructed buildings is installed with auxiliary internal supporting structure. Minimal ceiling is however 3 m.
Automatically programmed shoveling process is ensured by a control unit. In the case of obstacles hydraulic shovel automatically stops, preventing injury to the animal, but also its own damage. After removing obstacles and clearing the way, the shovel gets going again. Carefree operation in the winter is provided by heated hydraulic motor. 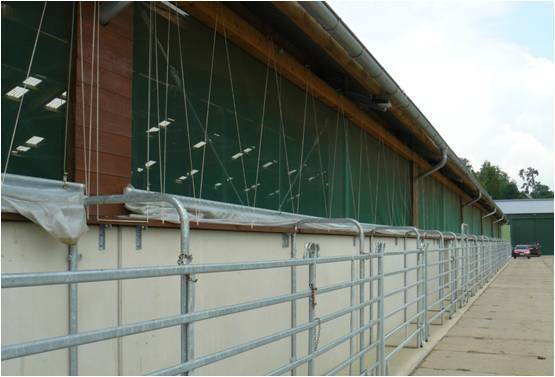 Right choice of ventilation technologies falls into essential necessities for effective cattle raising. Even thought cattle is among the animals with very good thermoregulatory abilities, in the summer month could come to so-called heat stress, which negatively affects not only production (milk yield decrease, weight increase etc. ), but animal reproduction and health as well. 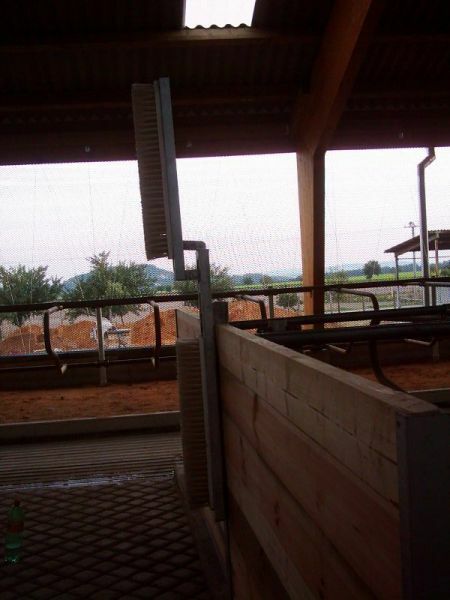 Effective, right proposed ventilation system according the recent up-to-date trends is decreasing possibility of accumulation of unwanted gases and elevated humidity in the stable rooms and in particular in the life area of animals. Vent holes of roof ridge. AFIFARM is very comprehensive software program intended for controlling the cattle herd. In everyday activities is important the accurate deciding - AfiFarm provides to you not only all information about your herd as a whole, but information about individual animals as well. Data are collected from AfiMilk sensors and saved into comprehensive database. Program AfiFarm enables to farmer to monitor maximum of detailed information about herd production, and on the basis of this information to make a decision and arrangement regarding the milk production, animal’s health, reproduction and culling control, etc. For this analysis serve graphic outputs in the form of well-arranged and comprehensible tables and graphs, which facilitate for user to carry out the right decision. AfiFarm is modular system, installed on the dairy farms in the more than 50 countries all over the world, and it became the basic tool for control of modern dairy farms. The required fluid intake in animals is provided by drinking troughs. You may select type for cattles or pigs from wide choice. Troughs are made of stainless steel and the frame structure is made of steel with hot dip galvanized coating. 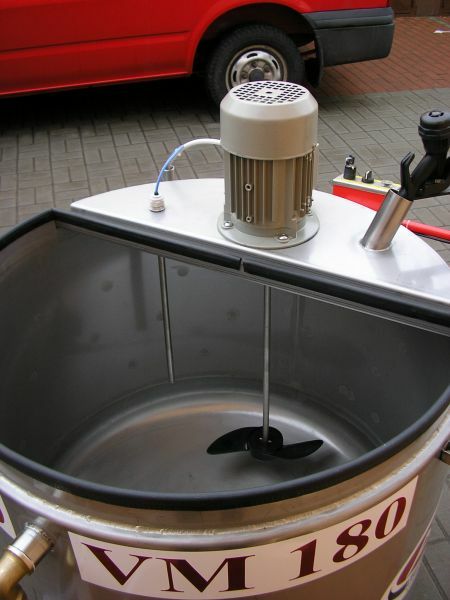 All models are supplied with heating, tilting or with a drain valve. Electricity generated from renewable sources is currently growing in importance. 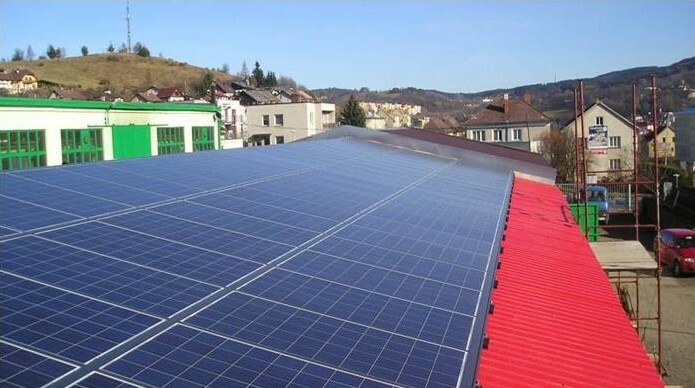 For the Czech Republic with regard to regional conditions the EU determined binding target of 13% renewable energy in electricity production in 2020. 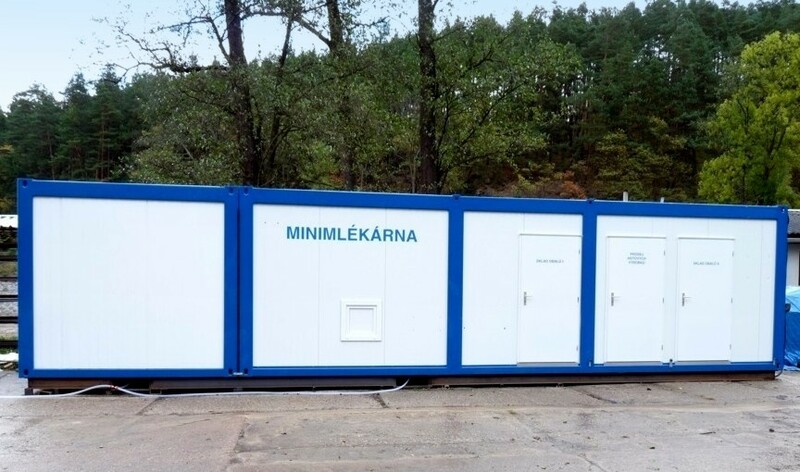 Biogas stations seem to be the best solution in the area of renewable resources in the Czech Republic. Especially in the agricultural sector the biogas stations are very important, thanks to the expansion of the operation and the cultivation of biomass for energy purposes, the biogas stations are one of the important ways to ensure the stability of agricultural cooperatives in the country. Experience from abroad confirms that the construction of biogas stations has a significant positive contribution to the rural country and agriculture. Farmers benefit as well, the biogas stations are stable source of income, they create and stabilize jobs, produce clean energy and high-quality fertilizer. 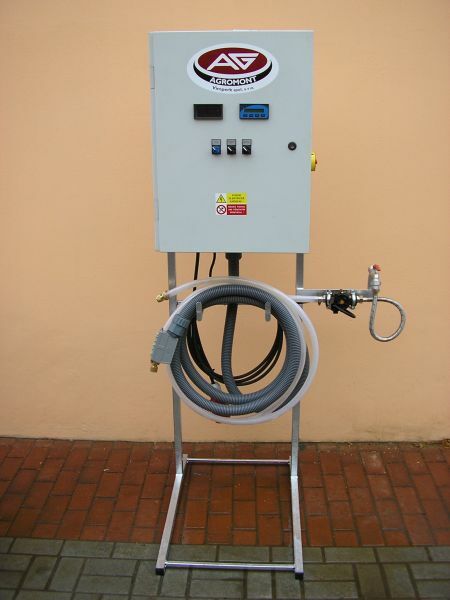 An important aspect for the development of biogas stations in the agricultural sector is the possibility of obtaining funds from grant programs. We offer appropriate technology, optimal placement of biogas stations in terms of functionality, but also from an aesthetic point of view, financing, using of quality materials for construction and other services. In case of interest please do not hesitate to contact us. We offer comprehensive services related to the use of subsidies from European funds in the area of financing projects of our customers. We focus especially on titles that encourage investment in the development of agriculture, forestry, food and feed production, tourism etc. We also support the so-called "Program for Rural Development (EAFRD) which is listed on the period of 2007 – 2013. Clients will be provided an analysis of the investment plan and the possibility of obtaining funds from the EU. We will calculate the payback period in both the short and long term. We will prepare a business plan and grant application to SAIF with the necessary technical documentation. We will ensure that the customer, who won the grant scheme, has full documentation of the implementation plan to the processing of the payment. 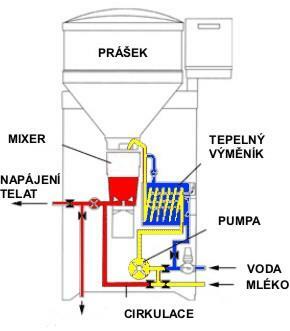 For more information, please contact our subsidy advisor on the email address or phone lesek@agromont.cz / 724 734 657. 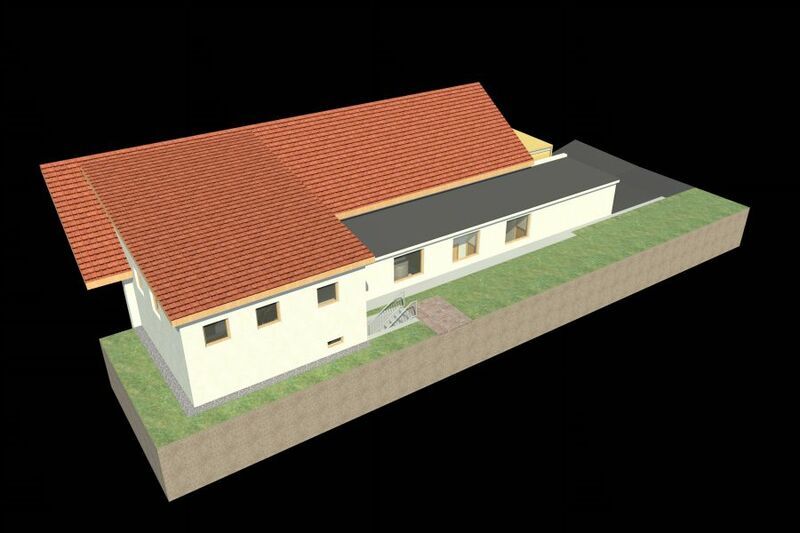 We are engaged in designing and engineering in agricultural construction, buildings for energy, as well as professional advisory. Experienced team provides a comprehensive package of services at all stages. From consulting, planning, studies, realizing of project documentation, budget execution through the documentation for obtaining building permit to final approval. 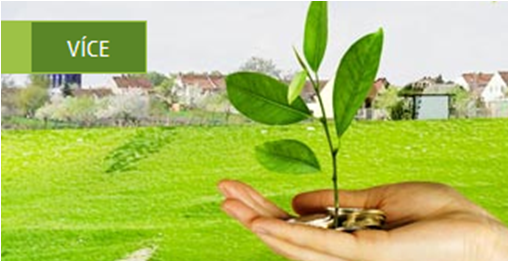 Preparation of the investment plan is completely free of charge. We offer traffic patterns of individual objects, new as well as refurbished. The entire project already includes conversion costs and everything is solved optimally to the rules for subsidies from PRV - modernization of agricultural holdings. Each project is unique and special, because we deal with our customers individually and always try to propose the best solutions. 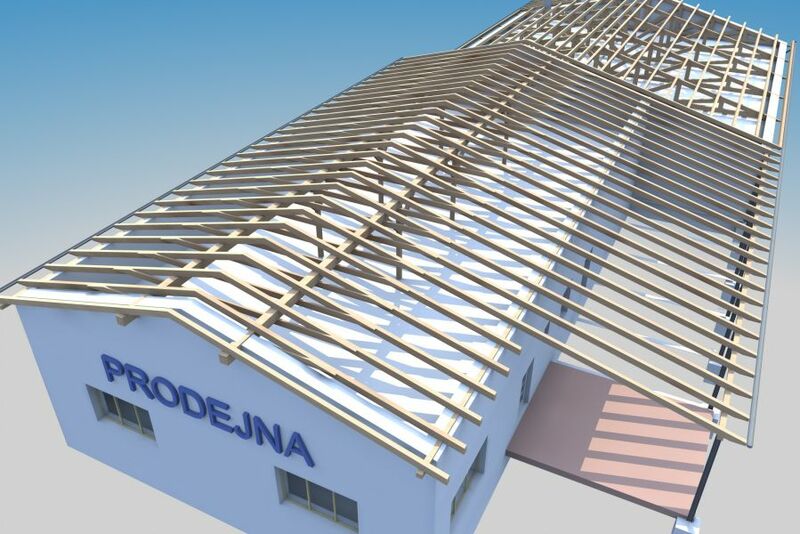 Final analyzes are made mainly in programs like AutoCAD, CADKON or 2D, 3D. To effectively address the use of energy from renewable sources the energy obtained from solar radiation is undoubtedly important. 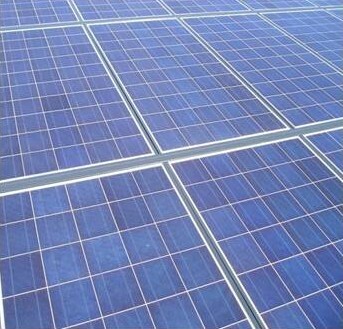 Using large-scale photovoltaic systems that convert sunlight directly into electricity is compared to other sources much better solution because of decreased operating costs and increased efficiency. Do you need to finance your contract and do not know how to do it? Our trained team of staff will recommend a suitable form of financing. Whether through a bank loan or lease, the product is always designed individually and according to the possibilities of the investor (customer). Thanks to our experience, the chances of obtaining a suitable financing are greater than when a client asks for a bank loan himself. And not only because of elaborated business plan, but also through the provision's involvement in securing the loan. The company AGROMONT VIMPERK is due to many years of cooperation with the banking institutions a reliable advisory of financial services. As a registered supplier and reliable partner we work on the principle of commercial center and central utility section. 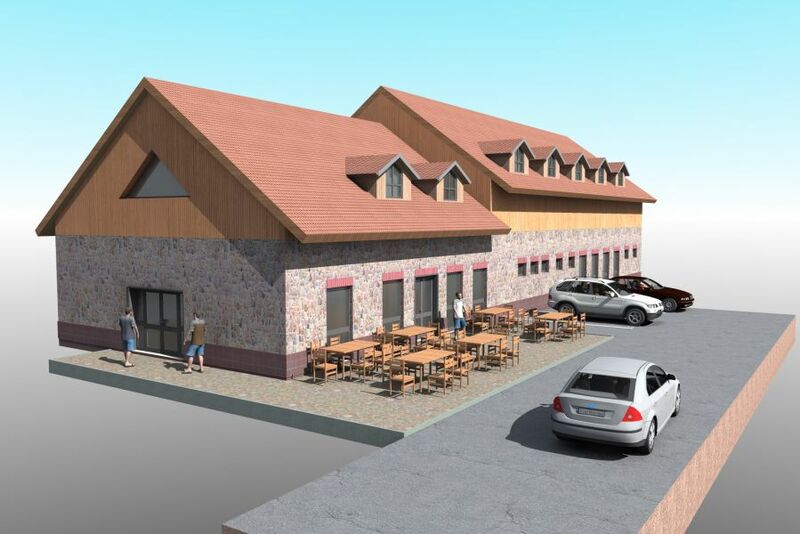 On the basis of request for grant was to the company AGROMONT VIMPERK allotted the grant for educational program with the name „Knowledge of unique technologies and own development products in the company Agromont Vimperk“ under the registration number CZ.1.04/1.1.04/92.00348, start of which was on May 1st 2013 and it will last till 2014. Aim of this project is to increase the adaptability of employees and competitive advantage of company. We are constantly trying to increase level of our provided services, product quality and labour productivity in the specific segment. The company AGROMONT VIMPERK thereby declares competitive bidding for the commission "EXTERNAL COURSES - TECHNOLOGIES". You will find detailed information in the attached documents.